LETHAL Combo: GOLD First, Then Options! I was in the U.S. in September of 2008. During the worst financial crash in since 1929, I happened to be without a cell phone because right when the world decided to end, I was floating down the Green River in Colorado, on a 4-day rafting trip. There was no signal, no reception, nor did the need or will to check messages arise, since the level 4 rapids provided enough action for my brother, my wife, and myself. It was our first major rafting experience and we loved it. When I got back to my hotel, though, it looked like Armageddon. My phone was ringing off the hook, especially with family members asking for any advice. The memories are vivid in my mind even to this day. Homeowners suffered the most, but that is a drop in the water compared to what’s coming next. The stock market is headed towards the end of what could be the longest bull market in history, which just got a boost from corporate tax cuts, so it might last another 12-18 months, before it goes bust, but stocks will recover from the bear market. They always do. 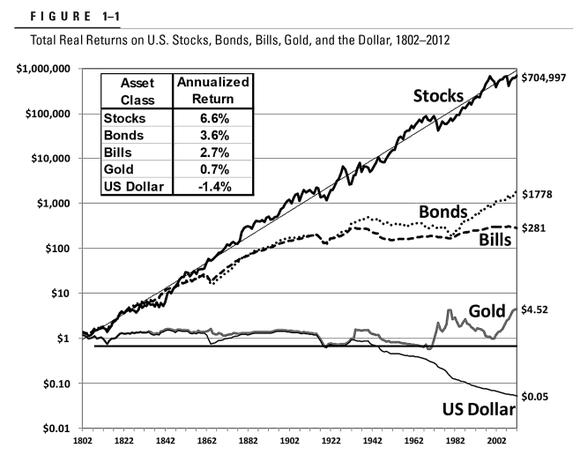 The surest truth of investing is that stocks, in general, are the best wealth vehicles ever devised. Never become scared of the stock market. Wonderful businesses, with ever-rising dividends, trading at fair valuations, will always be the easiest, most passive, and simplest way to become wealthier with minimal effort. The only catch, though, is that once every few years, stocks get too expensive, then gravity sends them back to earth, and that’s horrible for you, if you happen to be retiring just when this occurs. In other words, if you wrote in your will that you wanted your portfolio to remain untouched for 100 years, then 4 generations from now, your family members would regard you as one of the richest men to have ever lived. We stop the compounding process by selling, paying taxes on the gains, and spending our equity on lifestyle items. The magic is, then, to have enough equity in stocks nearing retirement that we can live off of dividends alone, or sell small amounts, if anything and allow the majority to compound, still. As Jeremy Siegel’s incredible chart proves, there is nothing like a quality stock to grow your wealth. Now, though, we must be ready for this type of 20%-50% drop, which occurs every few years. It is not only approaching with stocks alone, but is getting closer to us in the bond market, as well. If I were to go on a 4-day rafting trip, when the bond market implodes this time around, I calculated that nearly $9 trillion in equity loss would follow by the time I return from my trip. 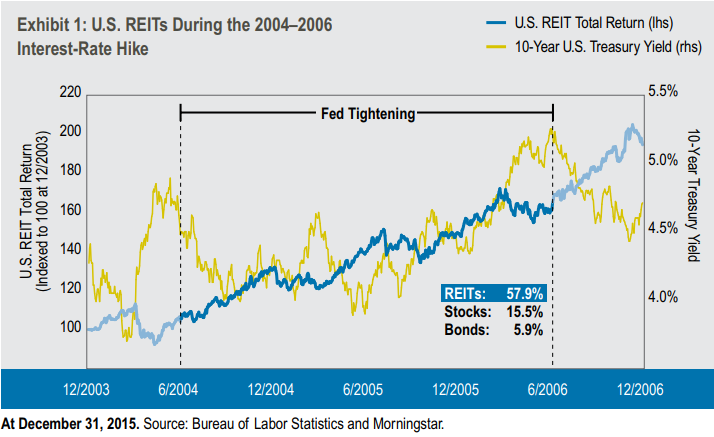 One of the best ways to generate steady, monthly income from the stock market is through REITs and MLPs, which I’ll publish a Special Report in April, since they will, most likely, outperform stocks in the coming years and generate high yields. Today, I want to show you 2 simple ways to generate as much as 25% annualized returns from the market.I’ve used this strategy without ceasing since 2008, and it has become one of my most reliable sources of income. Bonds are about to crash in price, interest rates are rising, inflation is ticking higher by the day, and the Fat Cash Wires strategy is going to be the perfect way to invest in a bear market or a sideways market. Remember, gold first. Make sure you own it, in case the stock market and bond market crashes drag nations into a full-blown currency crisis. Next, study selling covered calls and selling puts. These two simple techniques are all you need. Covered Calls: Insure Shares for Investors! Identify a business you’d love to own at its current price. Execute a simple brokerage account options transaction. Watch as a Cash Wire comes in. In this scenario, you, the writer of the covered call, will buy a stock. Right now, one of our Wealth Stocks is fairly attractive. Cardinal Health (NYSE: CAH) is one of the top 3 leading drug distributors in the U.S. and serves over 23,000 pharmacies and 8 out of 10 hospitals. In this example, we assume that at its current price, we’d love to own shares anyway. As you can see, this is an option chain, set to June 15th. Here’s the easiest way to understand how the share price can remain at $72 (as it is today) for 3 whole months, yet we’ll earn an “cash insurance premium” of 5.7% (including dividends) to hold one of the world’s safest businesses for 90 days. That’s an annualized gain of 22.8%, more than Warren Buffett’s legendary 19.7% annual return to shareholders of Berkshire Hathaway, which made him one of the richest men in history. Today, there are countless traders out there, who believe that Cardinal Health should be worth more than $72.5 on the 15th of June, yet they don’t want to buy 100 shares of CAH and hold it, since that’s going to require a $7,250 investment on their part. Instead, they’re willing to pay an investor, who is holding 100 shares today, a cash premium of $3.70 per share ($370 total), as the bid quota for the $72.5 strike price reads on the chart above, for that investor to sell them his shares for $72.5 on June 15th. In other words, they believe that on that date, CAH would be priced over $72.5+$3.7=$76.2, since they are willing to pay $3.7 for the right to purchase shares at $72.5, and believe they will still make a profit. Holding for 90 days also grants the shareholder 90 days worth of dividends, which is an additional 0.6%. Combined, that’s a 5.7% return. Come June 15th, the payer of the premium may not want his shares, if they’re trading at a loss compared with what has already paid ($3.7) for them, so you’ll be able to keep them and the $370 premium and do this again! If the price is attractive, he will want his cheap shares, since he can immediately sell them at a profit and recoup his $3.7 premium expenditure. For example, if CAH trades for $78 and he can buy them from you for $7,250, then he will sell them immediately for $7,800 and make a $550 gain. Deduct the $370 initial expenditure, and his net gain is $180 on a $370 outlay. That’s a 48.6% gain in 3 months. Remember, though, before you decide to be the buyer of the covered call, like this gentleman, that 88% of them don’t work out, which is why I rather sell them than speculate with them. If the price is below $72.5, then the shares are below the price paid for them, but the shareholder (you) can sell yet another contract of covered call and generate 5.7% again, if the market conditions stay the same. Study this strategy carefully. For years, I’ve used it on Cisco when it was trading for $16-$30 and with many other blue-chip names, which traded at fair valuations for the majority of this bull market. Next week, I’ll show you how to generate similar world-class returns, without even owning the shares! Then, we’ll summarize this up in one lengthy PDF report, which will include examples of completed trades. USD TUMBLES, Gold Soars: Top Crypto REVEALED! DON’T MOVE A MUSCLE: Read This NOW!